Now that is a work of art. Frank. mustard. raw onion. atomic green relish. sport peppers. dill pickle spear. tomato. celery salt. 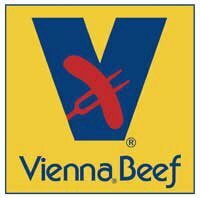 Vienna Beef perfected this masterpiece in Chicago over 90 years ago, and we continue the tradition today all over Chicago on our vintage Hot Dog carts. 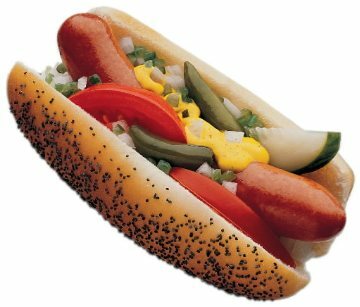 Husband & Wife owned and operated since 2009, Hubby's has brought our traditional hot dog carts around the Chicagoland area to cater at every type of event. Meals on wheels - our catering offers both indoor and outdoor carts, so we can bring the feeling of summertime to you year-round! Customize your special event with a memorable impression unlike any other! In addition to our private hot dog cart rentals, Hubby's had happily served Oz Park in Chicago from 2010-2015. The opportunity shaped our business and grew us leaps and bounds. We are forever grateful for the opportunity!